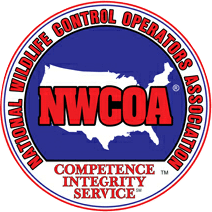 Hogarth’s Wildlife Removal specializes in Rabbit eradication. Rabbits are small mammals recognized throughout the world as a prey animal, but can also be domesticated in the form of livestock or pet. They serve as food, clothing, companions, and artistic inspiration. Male rabbits are bucks and females are does. The term “kit” or “kitten” refers to their young, which are part of a litter. Colloquially, people refer to them to as “bunnies’. Rabbit’s color ranges anywhere from grey to black, and brown to red. Mosts species, especially wild, have slender, upright ears which they utilize to detect and avoid predators. Some domesticated breeds have floppy ears. All rabbits have short, fluffy tails; their method of locomotion is hopping, as their back legs are long and powerful. Typically, rabbit damage can be detrimental to yards. They eat the tender growth of new plants, gnaw others down to the root, and the concentration of their urine can create brown spots in grass. 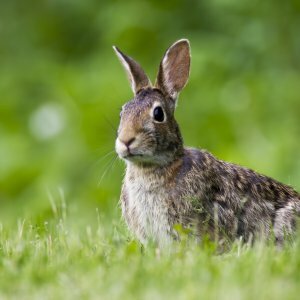 If you notice spots in your yard that look really short and are beginning to brown, it’s probably rabbit damage. At Hogarth’s Pest Control & Wildlife Removal, we specialize in the type of trapping and eradication needed to solve a rabbit problem. We work with you on a program that works best for your situation. Give us a call today!